Lately, one of the most interesting aspects of painting has been trying to find a middle ground between unfinished and overworked. I feel like I’m edging closer to being comfortable with my process. It’s about finding the right state of mind and being able to stay in that space for longer and longer periods of time. It’s also about identifying when the moment has passed and I need to take a break to refocus. 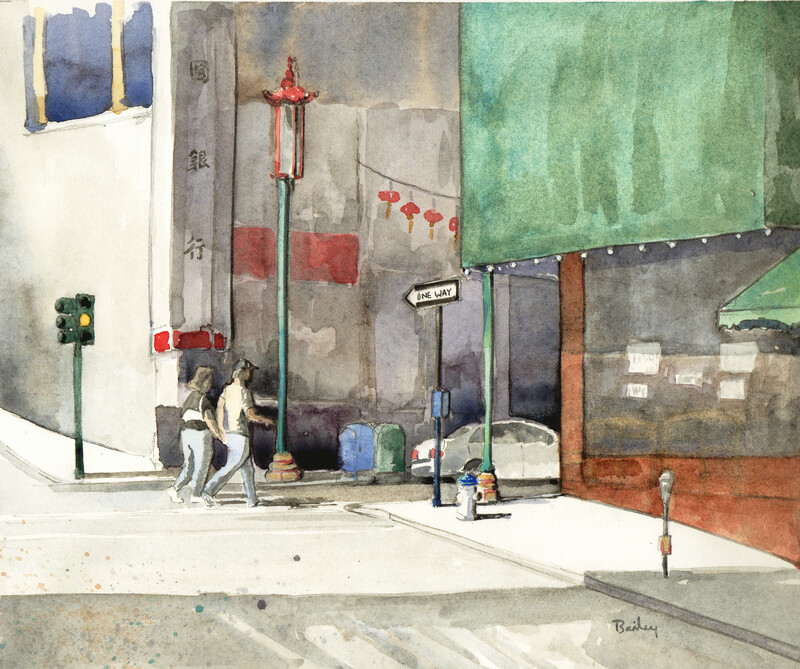 This entry was posted in Watercolor and tagged Art, California, City Life, Creativity, Drawing, San Francisco, Watercolor by theartofbrian. Bookmark the permalink. I think it’s great that you’re incorporating more people into your paintings. I feel that it sometimes livens up the mood and makes it more enjoyable. Keep it up, love your paintings. Thank you! I think that people are here to stay, in my paintings, for awhile. Beautifully strong study of shapes and light!